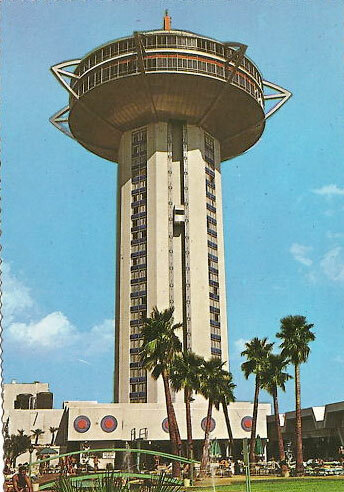 Take a tour of Las Vegas like it used to be! 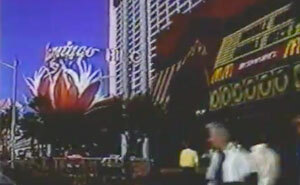 Las Vegas in the 1970s - the beginning of the end of the golden age of Vegas lounge entertainment. The biggest stars of Hollywood and the Top 40 charts commanded the showrooms: Sinatra, Martin (Dean and Tony), The Supremes, Robert Goulet, Jack Jones, Tom Jones, Ella Fitzgerald, Redd Foxx - the list went on and on. A veritable who's who of entertainment could be found playing the big rooms in Vegas. 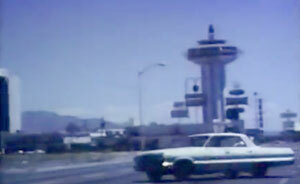 Here is some Super 8 footage shot on the Las Vegas strip in the seventies (looks like 1975). It appears so quaint doesn't it, compared to today? This footage from 1969 shows you the ride into Las Vegas and down the strip where the brand new Landmark Hotel just opened. See how much had changed by 1988... not so much. This tour of the strip starts at The Landmark. Notice there are still great stretches of undeveloped land - and you can see the big sky that surrounded the hotels that made Sin City great. The downtown area is what I enjoyed most, the hotels there (like The Riviera and El Rancho) had a shabbiness about them that I liked a lot. The most popular joints of the 1950s had fallen into disrepair by the 1980s. I remember going to an amazing drag show in Las Vegas in 1983. There was a guy who did a PERFECT Liza Minnelli, looked and sang exactly like her. Except he had a beer belly so Liza looked 9 months pregnant! This clip takes us back to the very beginning of Las Vegas, the 1940s. Now that's quaint! glory days of Las Vegas.